Persimmon plc PSN claims to have delivered another strong trading performance in 2018 with total Group revenues of £3.74bn., 4% higher than the previous year. A little cloud in the sky appeared in the shape of the average selling price increased by only 1%, which from memory is the lowest for many a year and not something which housebuilders welcome because they think it indicates the market is weak and they can not sell their houses. Housebuyers however can see it as a very good thing which eases the burden of above inflation price increases which the builders used to impose with such glee. Forward sales at 31 December were 3% ahead of 2017 which shows the benefit for the builders of more stable prices. Pre-tax profits for 2018 are expected to follow a similar pattern and be modestly ahead of current market consensus. Savills plc SVS experienced a robust closing quarter and produced growth in both revenue and underlying profits for the full year. The residential business continued to perform well in challenging market conditions. These achievements came against a backdrop of heightened uncertainty through the last quarter as Brexit, US trade policy produced concerns. Spirent Comm PLC SPT updates for the final quarter to the 31 December and for the year in full. Revenue for the full year grew by 6% and good momentum continued into the final quarter.On an adjusted basis operating profit is expected to show a 30% increase on the previous year, exceeding market expectations and demonstrating a year of strong profitable growth. 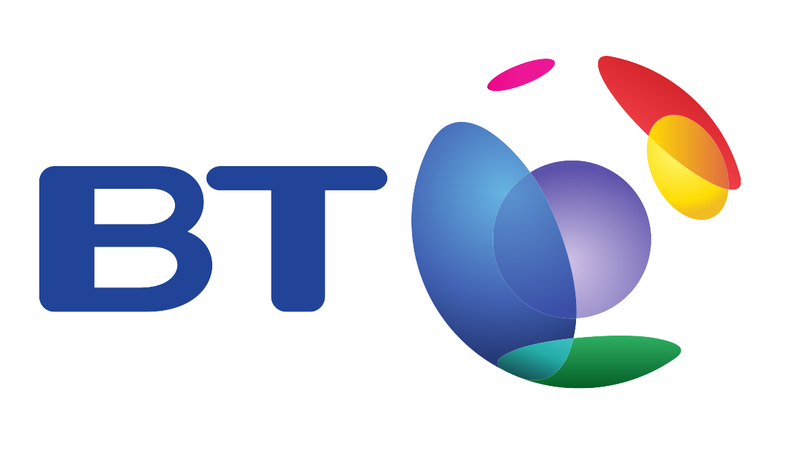 Telit Communications TCM expects revenue for the year to the end of December to show strong profitable growth Aadjusted operating profit is expected to exceed market expectations with a rise of some 30% on the previous year. Shareholder approval for the proposed sale of the automotive division is expected to be obtained on the 29th January and completed on the 31st January.The Executive Chairman claims that over the last few months, the Group has delivered double-digit revenue growth, and improved profitability over the year. The financial performance is expected to be improved further in 2019. Games Workshop Group GAW updates that at the end of the six months to the 2nd December, it has a lot of cash which is truly surplus, presumably as opposed to cash which is not “truly” surplus. . The company can not find anything else to do with it so it is giving it to the shareholders, well at least a sum equal to 30p. per share.The results are in line with expectations for the year to 2nd June so the largesse must have been in the planning all along. Indeed it admits that this is in line with the Company’s policy of how to distribute truly surplus cash, as opposed to non “truly’ surplus cash. Associated British Foods ABF The unheard of has happened and Primark has had to admit that in November trading was challenging and the retail market was tough. However improved margins helped to save the day, and expectations for Primarks profits to increase, remain unchanged. The problems at AB sugar continue and profits will be significantly lower, reflecting the full year effect of EU sugar prices. CH Bailey plc BLEY saw group revenue fall by 4% in the 6 months to the 30th September but profit was up by 43% and EBITDA by 18%. The UK engineering business, is continuing to grow, with revenues up by 10% and the order book for the second half of the year looking solid. 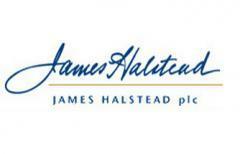 James Halstead plc JHD is aware that there is much speculation on the future trading relationship of the UK with Europe but maintains that it is a global trading company and the Board is confident of growth albeit mindful of potential short term issues. Both turnover and profits for the first five months are ahead of last year..
Games Workshop Group GAW Issues a strange update covering the short period to the 7th October from the date of the last update in September. Sales are ahead and profits are at a similar level to last year, so why the need for an update. Well there seems to be a big “but” in that suddenly the Board decided that it should warn that there are some uncertainties and it remains aware of them.i.e. it has not just discovered them, since September and these uncertainties, are not just any old uncertainties, they are uncertainties about future trading which the Board is keeping secret.So why issue a warning and keep secret the reason for the warning.That makes it sound serious. An update about the update will be given “as appropriate” makes it sound even more mysterious. RWS Holdings plc RWS has enjoyed its best year ever, with group revenues in the year to the 30th September having risen by 85%. Adjusted profit before tax is also expected to have been slightly ahead of market expectations. The Chairman eulogises that this has been a transformational year underpinned by a strong financial performance and increasing momentum. Zytronic plc ZYT Preliminary results for the year to the 30th September showed that trading in the second half of the year produced a 10% improvement in revenues over the first half, resulting in total revenues for the year of £22.3m which is in-line with market expectations.The cost of new designs and production techniques however, resulted in lower than expected margins, and in particular a spurious patent claim was settled for £72k, plus legal costs of triple that amount, resulted in full year profits before tax being behind market expectations. Query, why settle a patent claim if it is spurious. So why has Gavin alone been selected for the chop. It does seem slightly illogical that the board should escape Scot free from the consequences of something to which it gave its full support. Sacrificial lambs, this way, please. Games Workshop Group GAW has today announced a dividend of 30p per share, payable on the 27th July, as the sales and profit growth previously announced has continued to the and of the year on the 3rd June. Group profit before tax for the year is expected to be not less than 74m. Hargreaves Services plc HSP updates that trading has been satisfactory during the year to the 31st May and results are expected to be in line with expectations. Distil plc DIS Both sales volume and revenue continued to grow strongly across all channels during the year to the 31st March.Turnover and gross profit both rose by 23% and the company expects to build on its success during the coming year. Round the Clock Trader today is hosted by Simon Campbell and Zak Mir. Dr David Paul of VectorVest talks market timing, Games Workshop #GAW, Prudential #PRU, Volex #VLX. His slot is 20 minutes in. Brand CEO Alan Green talks Feedback #FDBK, Advanced Oncotherapy #AVO and Petrofac #PFC. His slot is 52 minutes 30 seconds in . DISCLAIMER: Intellisys Intelligent Analysis Limited has prepared this report. Intellisys (“Intellisys”) is the trading name of Intellisys Intelligent Analysis Limited. Intellisys Intelligent Analysis Limited is a provider of financial research reports that indicate the possible value of quoted company shares. The information contained within any and all of Intellisys’ reports are designed to present an objective assessment of the possible value or relative value of a company and/or an actuarial sector or stock market index. Intellisys utilises as extensive as possible range of valuation tools and proprietary systems to derive its outputs. The base data for the models are derived from sources believed to be accurate but Intellisys Intelligent Analysis Limited does not warrant or guarantee the accuracy or reliability of the source data or its models and proprietary systems. Subscribers, and casual readers, should not rely upon the Intellisys’ research outputs when forming specific investment decisions but should seek advice specific to their situation and investment requirements from a person authorised under the Financial Services and Markets Act 2000, before entering into any investment agreement. Intellisys Intelligent Analysis Limited has used reasonable care and skill in compiling the content of this report. No representation or warranty, expressed or implied, is given by any person as to the accuracy or completeness or accuracy of the information and no responsibility or liability is accepted to the accuracy or sufficiency of any of the information, for any errors, omissions or misstatements, negligent or otherwise. In no event will Intellisys Intelligent Analysis Limited, Intellisys or any of its officers, employees or agents be liable to any other party for any direct, indirect, special or other consequential damages arising from the use of this report. The Intellisys Intelligent Analysis Limited and/or Intellisys reports are not directed to any person in any jurisdiction where (by reason of that person’s nationality, residence or otherwise) the publication or availability of the Intellisys Intelligent Analysis Limited and/or Intellisys information may be prohibited. Persons in respect of whom such prohibitions apply must not access the Intellisys Intelligent Analysis Limited and/or Intellisys reports. Neither this document, nor any copy in whatever form of media, may be taken or transmitted into the United States, Canada, Australia, Ireland, South Africa or Japan or into any jurisdiction where it would be unlawful to do so. Any failure to comply with this restriction may constitute a violation of relevant local securities laws. Recipients of Intellisys Intelligent Analysis Limited and/or Intellisys reports outside the UK are not covered by the rules and regulations made for the protection of investors in the UK.